Today marks five months in Czech. The sad thing is, from the time we got here we’ve been trying to have Daniel over for dinner. Daniel and I work closely in the Creative Communications team and he specializes in the video work we do and does an incredible job. It only took five months, but tonight we had the pleasure of having him over for dinner and Bethany cooked my favorite, lasagna. Daniel even brought gifts for the kids, which was really nice and they were having fun spending time with him too. 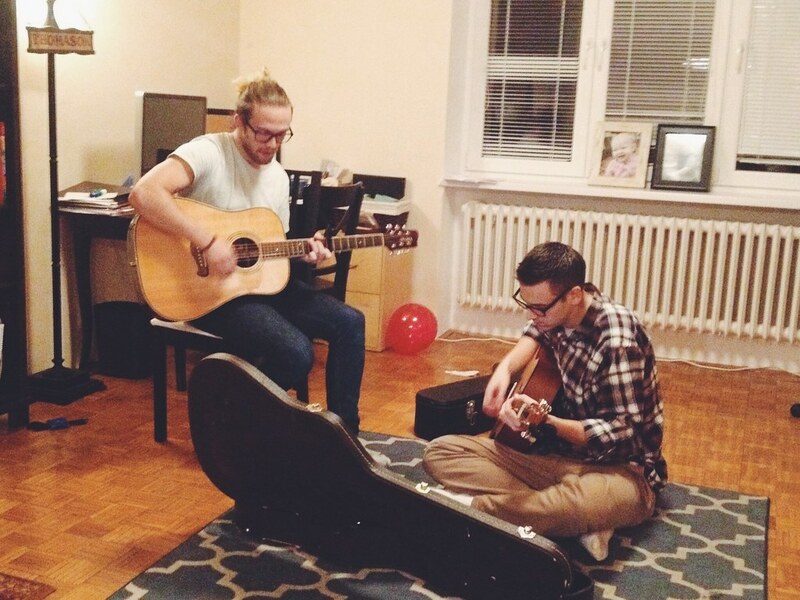 Later after dinner we had some time just to play worship songs together. There have only been a few other times for me to spend time playing guitar and singing with someone else so I really count it as a special time. That’s probably something I miss from the States. 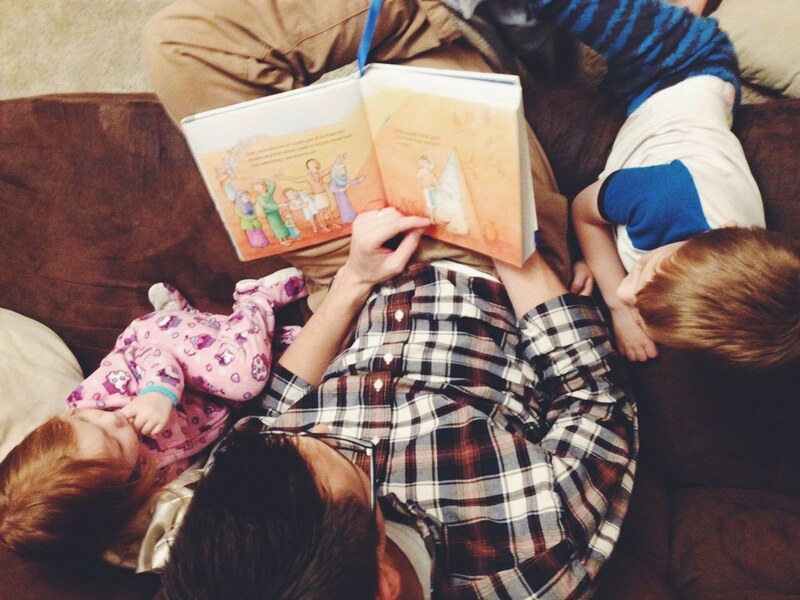 Daniel was here during Bible reading tonight and caught this little photo of me and the kids. Bethany was saying later after Daniel left that it’s just nice to talk and process with someone who came on the field around the same time as us. Daniel got here a little more than a month ahead of us, so in many ways we feel like we’ve all been here about the same amount of time. 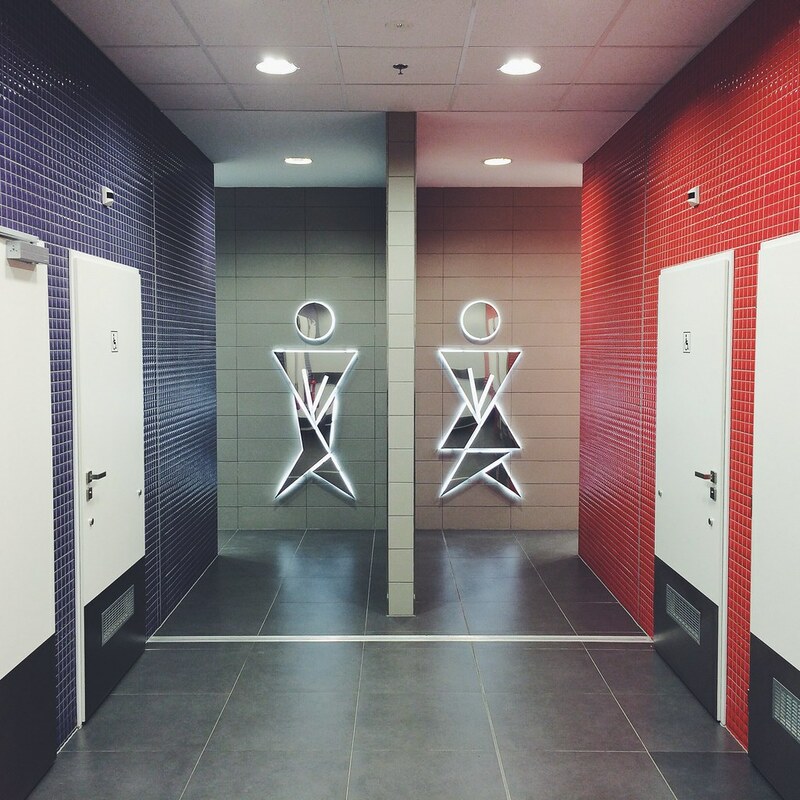 One thing that is consistent between us, I think, is that there truly is a process to this transition. Nothing feels normal. In fact, I’ve kind of lost sight of what exactly normal is anymore. Even as we talked tonight Daniel was talking about the grocery store and how he’s starting to feel like that’s not as hard as it was in the beginning. But even without saying it, we can all agree it’s still pretty hard! At the end of the day, I’m thankful to be transitioning alongside other missionaries like Daniel. His experiences are different that ours, but it’s nice to be able to talk and just think through it together. Just like the Christian life in general, we’re doing this alongside others with the same focus: to see others come to Christ. Praise God for that! Unbelievably we’ve already been here long enough to begin processing another round of visa applications. 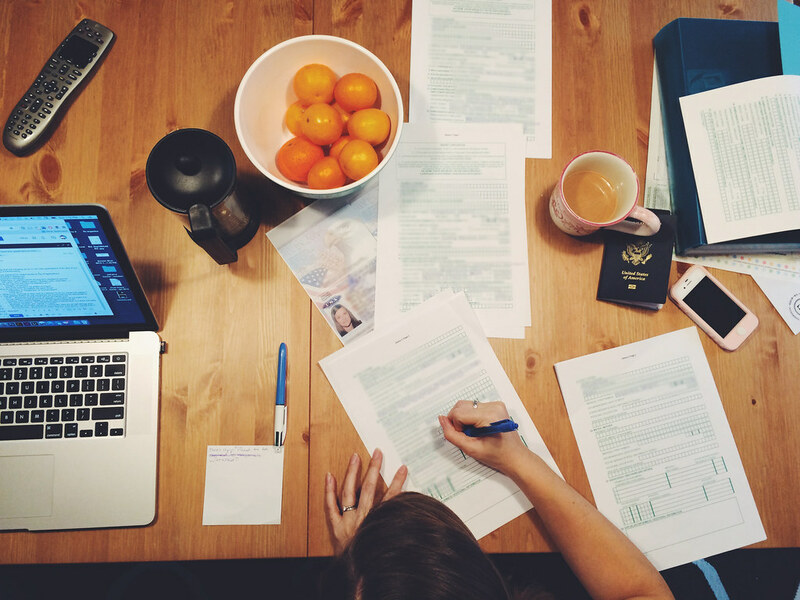 Our first set of visas are for six months so technically they don’t expire until the end of January. But with all the holidays and time it takes to process things here we have to get started earlier to make sure there are no hangups. Today we spent most of the afternoon just going through the paperwork and trying to make sure we have got all the information correct. These new visas will be good for two years and give us simpler identification (something other than our passport). We’ll be working this week with the team here to help get it all moving forward. Most likely we’ll be headed to the Foreign Police in the next couple days to begin processing them so that’s a point of prayer for us this week. When we were at missionary training last year, one of the language teachers said, “In order to learn a language you have to be willing to make a million mistakes, so start now!” Today I took that instruction and butchered Czech about as much as humanly possible. I had a conversation today with our landlord about the light not working in our garage. I felt terrible because I couldn’t understand much, but basically she was trying to tell me that she got it fixed and that the light was actually on now and we needed to turn it off. This took me about four minutes of conversation with her until she finally just pointed for me to come outside with her and she showed me the light. I remember asking her “why” and just getting a blank stare. Who knows what I was asking her because I sure don’t! Then tonight at the grocery store Avery left her Hello Kitty coloring book in the store and we didn’t realize it until we got home. Titus and I went back for it and I was trying to explain to two different store clerks that this was my daughter’s book and I wanted them to know that before I walked out of the store with it. What they were understanding from me was that my daughter had left a book like the one I was holding and that they didn’t have it. Finally we had to walk over to where I found the book and try using my phone to translate the whole thing and when something finally clicked they just started laughing. Thankfully, they did understand and were very gracious, but that doesn’t change the painful interchange that went on for ten minutes. Only 980,854 mistakes left to make before I learn Czech! On a parenting note, a friend from the States asked me yesterday on the phone about Titus and how he was doing. It was a timely question because I’ve been thinking a lot about Titus lately. 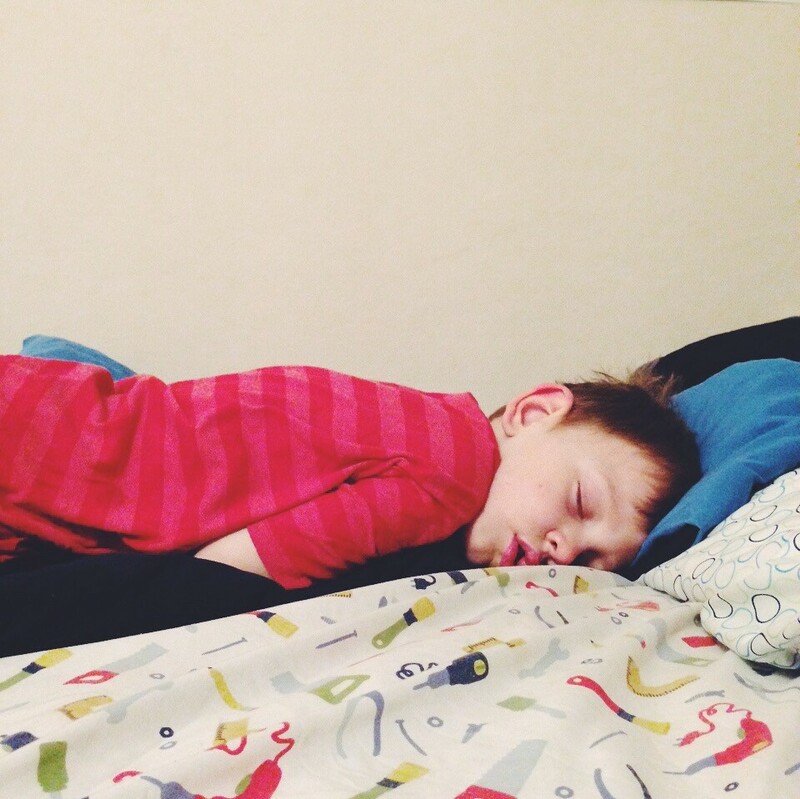 As a dad, especially one of a boy, I’m really trying to process how to be intentional with Titus and train him well. Yesterday before the party I asked him to help me take the recycling out. 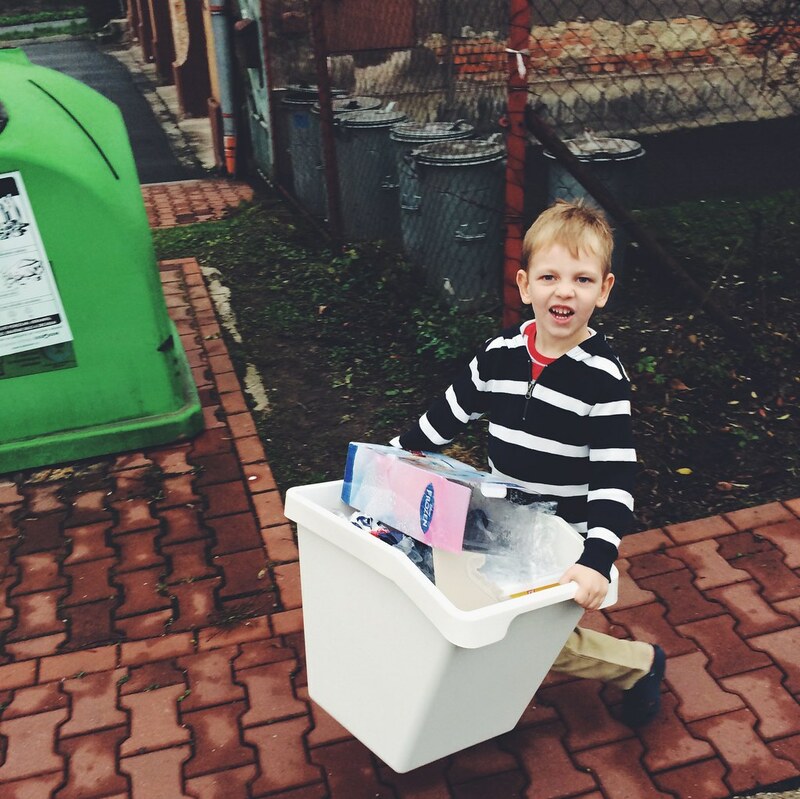 He was really excited and carried “the big box” down the street all by himself. It may have only been a few minutes of time but I was really enjoying watching him grow and mature, even in things like helping with work. Lately Titus has been showing a lot of mature answers to questions and really starting to put things together. We see him asking lots of questions and just engaging more. It’s fun to watch him change and grow. We enjoyed a wonderful celebration today of Avery’s little life and were blessed by many friends joining in the fun. As I wrote yesterday, Avery’s birthday is actually next Saturday but with Thanksgiving and traveling many people weren’t going to make a party the weekend after the holiday. So instead of trying to make that work we decided to move it up a week and enjoy a little party today. Bethany did a great job getting things ready and this morning we put the final touches on our apartment to get it ready (mostly just cleaning) and everyone came over around 3pm. Before I begin with all the photos and stories, it’s fair to note that today actually started very early when Papa and Nana video chatted with Avery and she opened their gift which was mailed from the States. I was actually asleep while Bethany and the kids did this, but Avery loves her new Elsa Frozen doll. Thanks Papa and Nana! 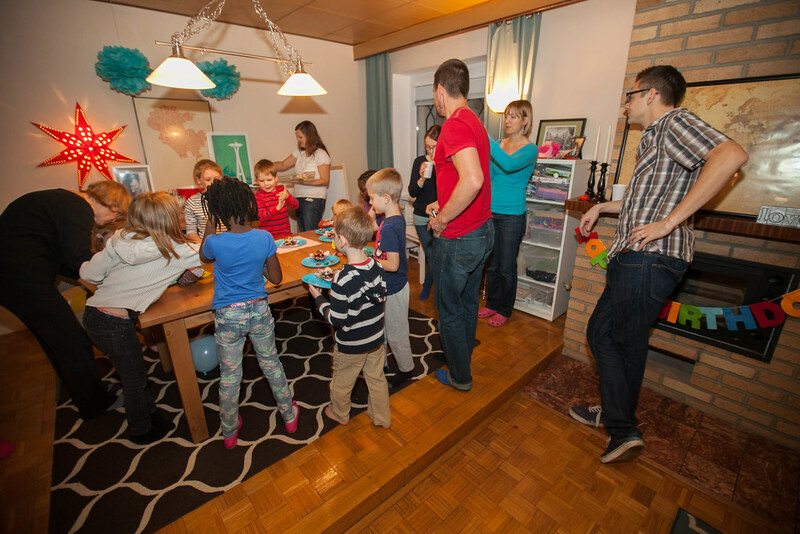 Here are the photos and story from the party with captions below each. 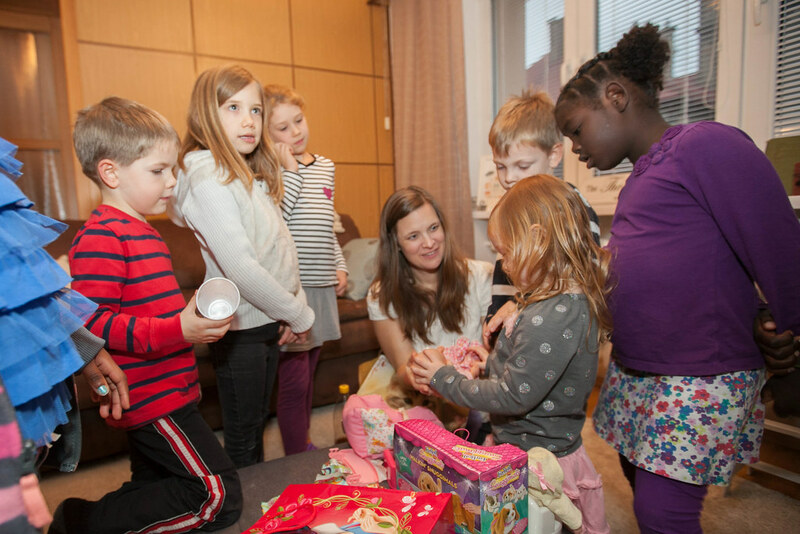 Here the kids are gathered around Avery while she’s opening gifts. The “Czech way” (as we’re told) is to open the present right as you receive it which is basically what we did as people arrived (as opposed to having a large gift opening time during the party). The kids of course were really excited about each present and I think when I captured this photo there was a line of people waiting for theirs to be opened. 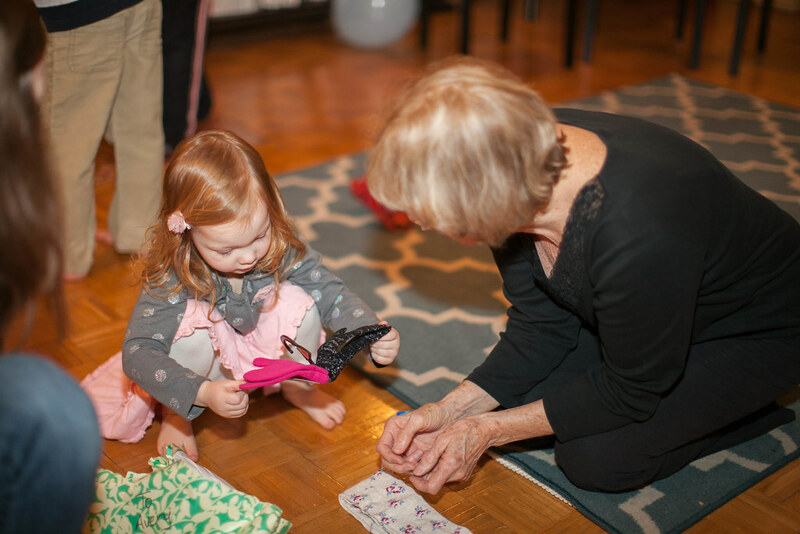 Here is Avery opening some new gloves she got from Josiah Venture’s resident grandma, “Grandma Linda,” as everyone calls her. She’s actually Kristin Yorman’s mom and she moved to Czech to help the Yorman’s with their autistic sons. Thanks for the gloves and tights! Avery was smiling and excited about all the new toys and gifts. She was very blessed and everyone was so generous. The three photos above are from the cupcake decorating time we did with the kids. The table almost wasn’t big enough to get all the hands and plates in there, but we made it work. 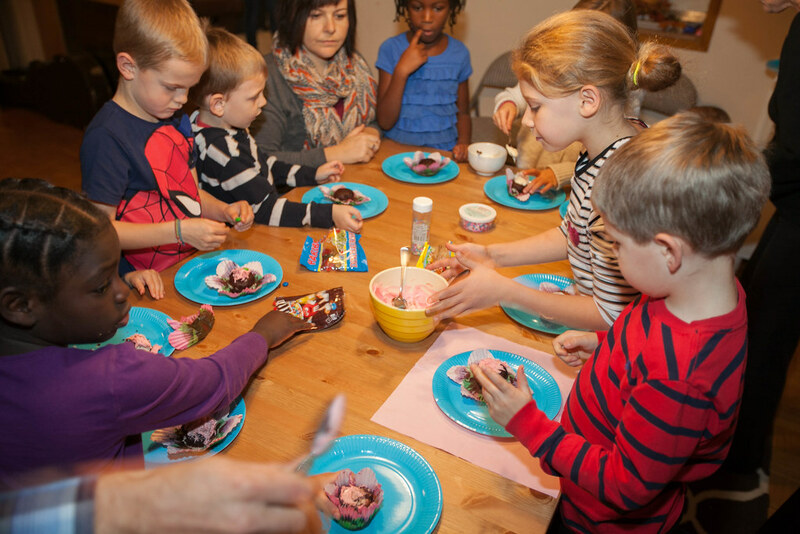 The kids enjoyed adding their own frosting and putting gummy flowers and dinosaurs on top to their liking. Thanks to our friend Greg, you get the rare shot of me standing on the right. He told me, “Now your kids will have at least one photo of you.” It’s the classic tale that dad isn’t in any photos because he’s always behind the camera. Thanks Greg for keeping my memory alive! 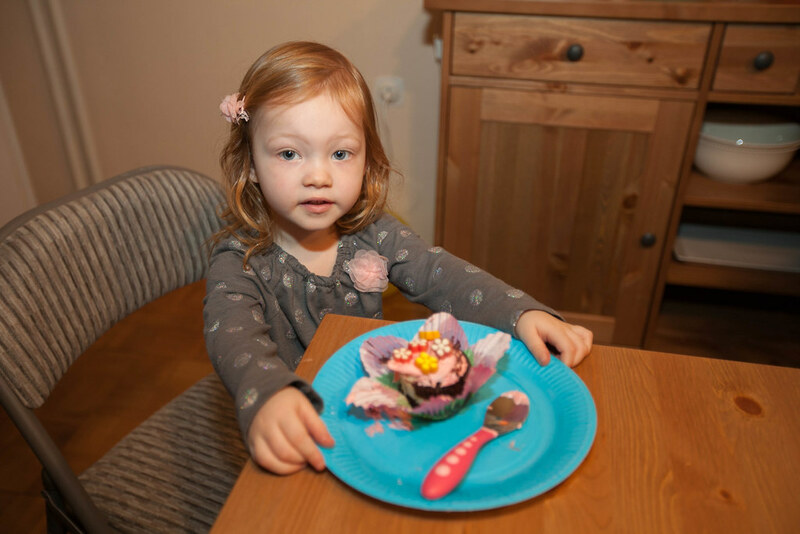 Here’s Avery with her completed cupcake creation. I realize she doesn’t look that excited but honestly she was! 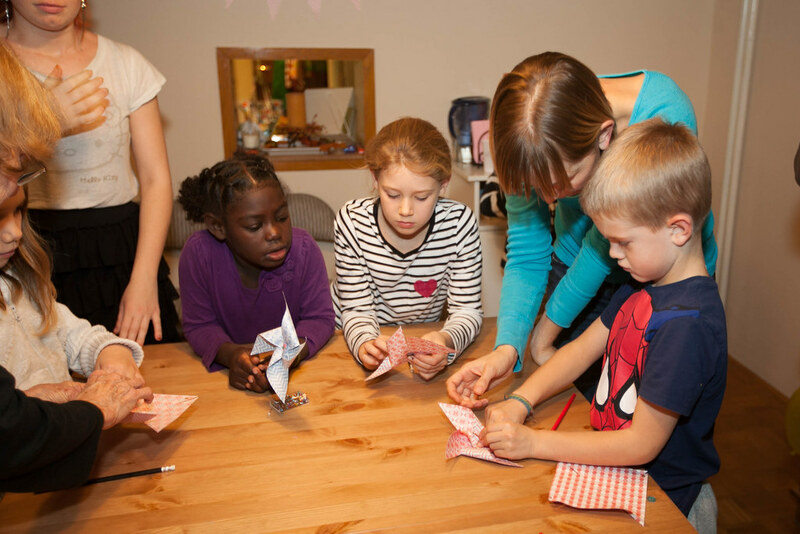 Bethany actually had scheduled a little craft for the kids to create some pinwheels. 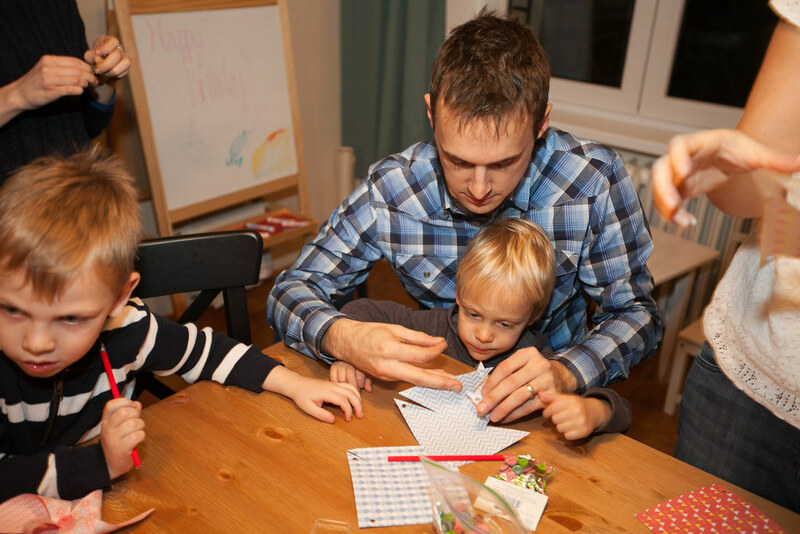 It proved to be a little more difficult for the younger kids so the parents were helping out a lot (like Brian in the first photo). 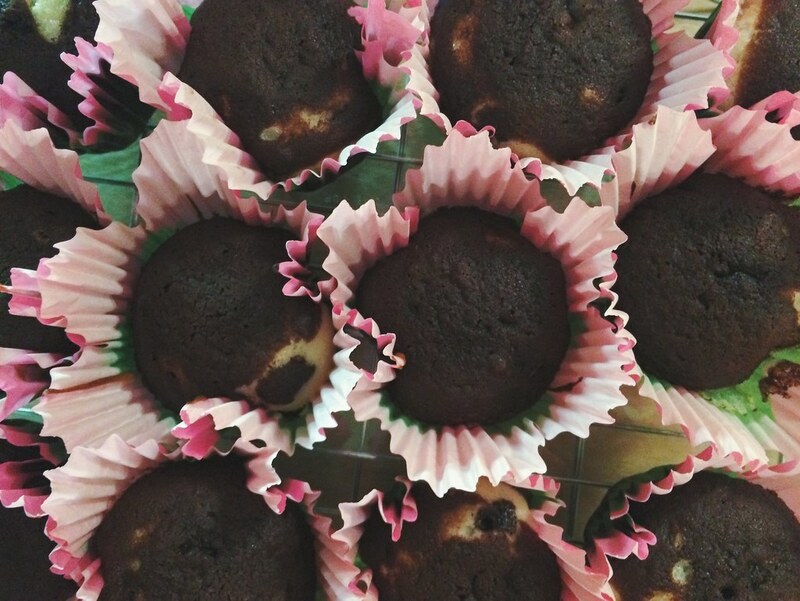 But they all turned out pretty good! 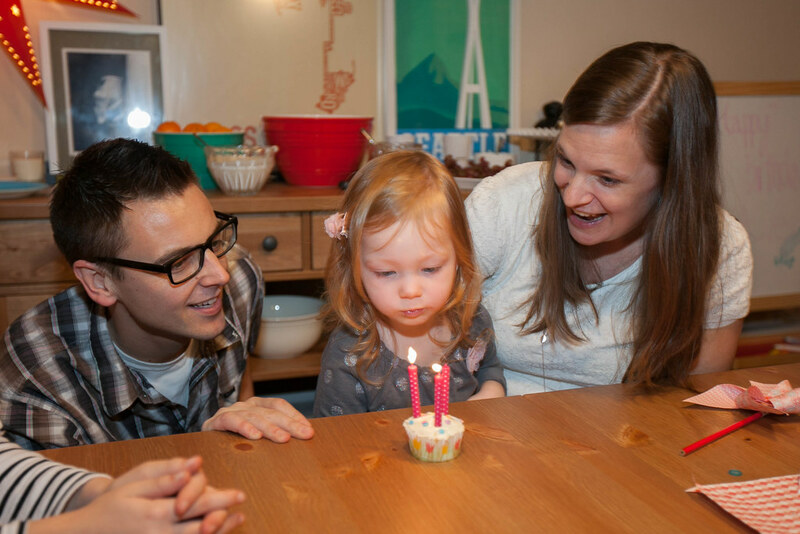 Here’s us with Avery as she was blowing out her three little candles. It took her a few tries, but she finally got them all blown out. 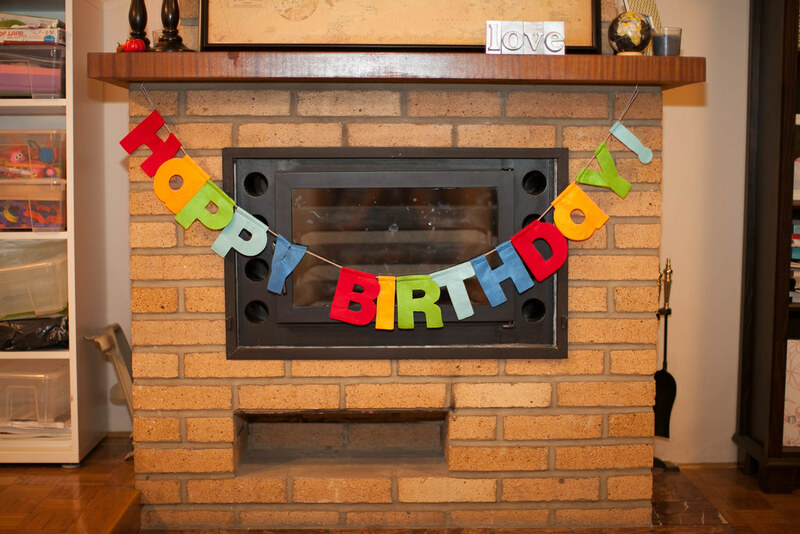 I don’t want to dwell too long on this thought, but I’m starting to think that the reason we blow candles out is because that’s how fast it feels like the years go by. Bethany and I actually feel like Avery’s little years have gone at a good pace. We’ve had a busy year this year, but God has been gracious to make the time feel slow and we’ve been able to watch Avery grow. We’re thankful to the Lord for our daughter! The party actually ended around 5pm and we were supposed to join our church’s youth group for their “American Thanksgiving” party. As we were walking out the door we realized our friends who had driven in from Poland forgot a baby bag, but they had already left. I called and told them we would meet them on the road so they would have it and we drove into Poland and met them at a gas station. I actually thought we would be able to turn around easily but this was not the case. The gas station was just off the highway, and there was no place to turn around and go back towards Czech. This meant we ended up driving (and I’m not joking) another 20 minutes into Poland until we could turn around. 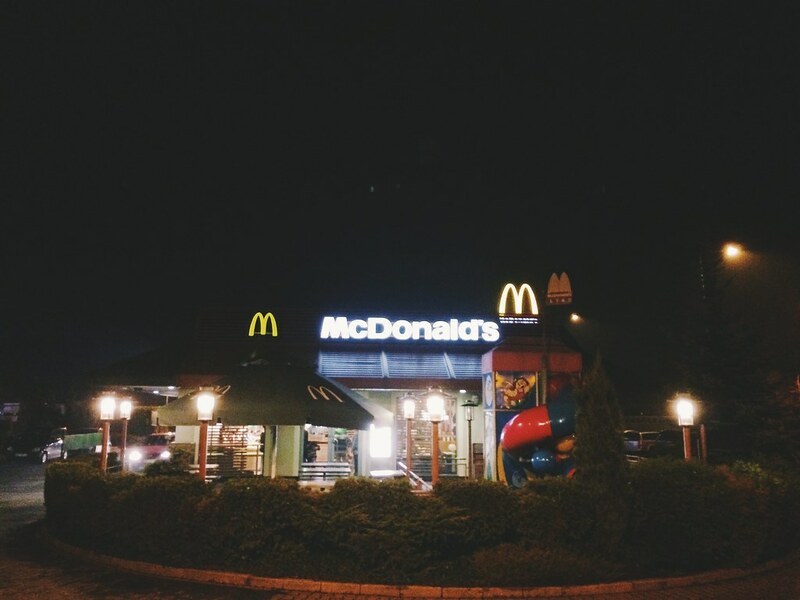 We figured we had missed dinner with the youth group and so we decided to eat at the McDonald’s in Poland and made a poor decision on driving through. Imagine an American family, that now lives in Czech, driving through McDonald’s trying to order in Polish (which we can’t speak a lick of). It took forever for us to order and I ended up having to walk inside to order the things that didn’t get communicated. Finally we got all of our food and headed back to Czech (another 25-30 minute drive). And yes, I got a photo of the McDonald’s. About 6:45pm we made it to the youth group hangout which was a lot of fun. The kids were full of energy and were running around the room while all the students were talking and hanging out. We enjoyed talking with a couple of the students and staff and just being there. At the end of the day, I’m thankful for how the Lord works out the details. Some things went as we had planned and some things didn’t (e.g. dinner in Poland), but it all went as God had planned. Awesome. Even though Avery’s birthday is a week away (Nov. 29), we’re having a birthday party for her tomorrow. Bethany has been hard at work today getting things ready or tomorrow’s special day. As I write Bethany is meticulously cutting colorful paper into pinwheels. You know…she’s making the party pretty. 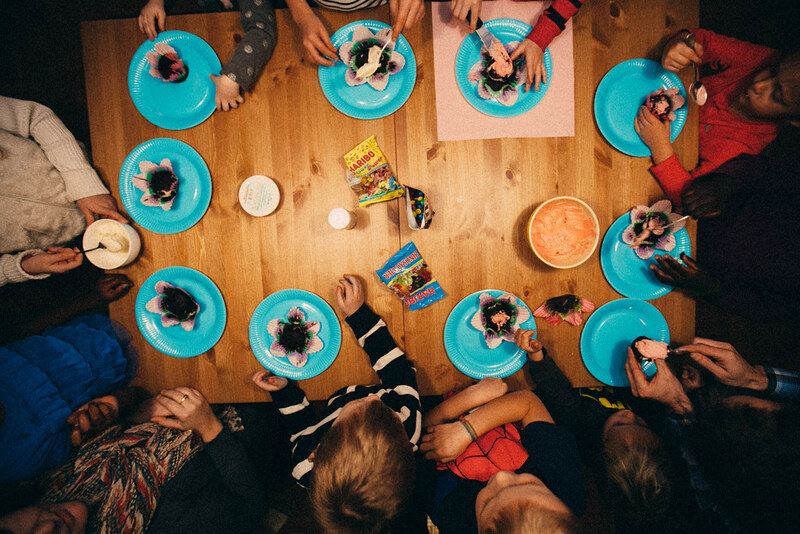 That’s why you see the flowery looking cupcakes above that the kids will decorate themselves. Inside they are zebra colored (white and chocolate layered cake), which was Avery’s choice. 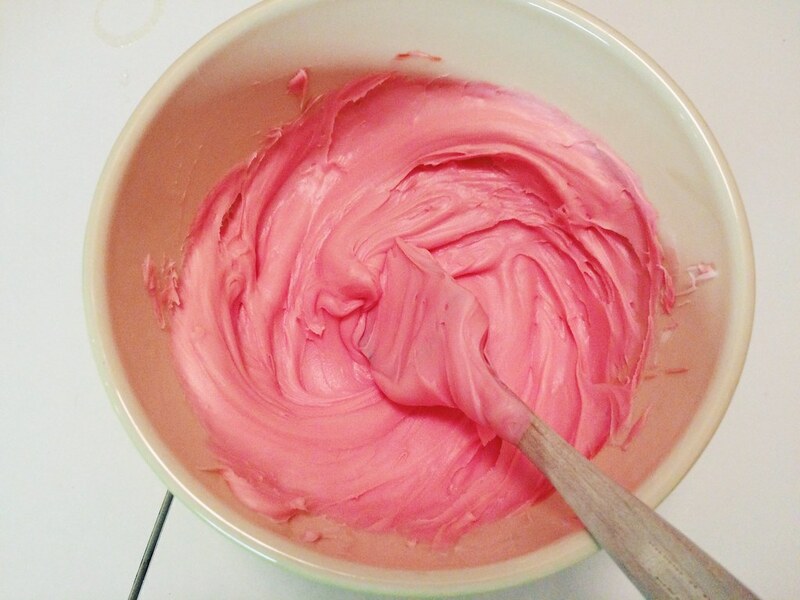 Below is a photo of the pink frosting. You definitely know it’s a party for a girl! Since Avery’s birthday falls right around Thanksgiving, and because we’ve been pursuing coming to Czech most of her life, her birthday has always been hard to celebrate. Hard in the sense that we haven’t been able to invite a ton of people to celebrate which we enjoy doing. The past two years we have been traveling a lot, especially last year when we drove from Colorado to Kentucky to spend Thanksgiving with my family after our month long missions training. Of course, it’s great to be with family, but you just have this image in your mind of lots of little kids running around at a birthday party. I guess it’s just nice to be somewhat settled and have friends around to celebrate with us. Above is a photo from a year ago today. We only had a few days left at MTI (Mission Training International) in Colorado and the snow came in strong. After classes we spent the afternoon playing in the snow with the kids. It’s been one incredible year since then. God is good.